Let’s go be AWESOME today. It’s cherry blossom season for just a minute every year, but taking care of yourself is in season all year round. Happy Halloween, Witches! Halloween treats are live in the shop! 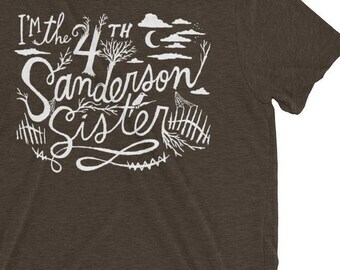 Mugs, tees, hoodies to help you express your sense of Halloween humor & witchy ways! 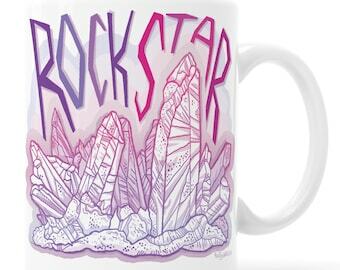 New mug for leggings fanatics everywhere. Stand up for what you believe in! Customer mug shot! So much fun to see my mugstomer's photos! Follow me on Instagram @kathywellerart for occasional Mugstomer Appreciation Giveaways! They're how I say THANK YOU to my fabulous customers. New #HASHTAG MUGS for creative makers are now in the shop! Current themes are Embroidery, Sewing/Quilting, and Creative Biz. Take a look! Take the future into your own hands! 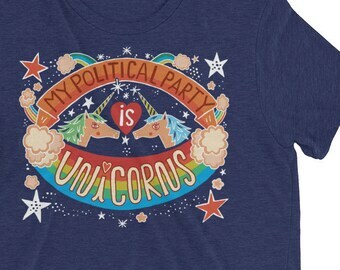 Vote Unicorns! Don't Quit! 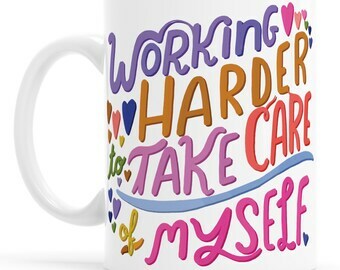 My latest mug design is a perfect best friend gift. 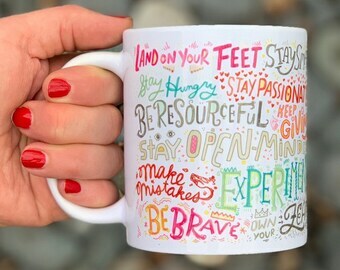 The "Be Brave Manifesto" mug is the perfect coffee cup for first thing in the morning!